If your brother's been accused of a terrible crime and you're the main witness, then you banish all doubt and defend him. Isn't that what families do? When Mikey's sister claims a boy assaulted her at a party, his world of work and girls begins to fall apart. When Ellie's brother is charged with the crime, but says he didn't do it, her world of revision, exams and fitting in at a new school begins to unravel. “I like you," he said. He made it sound as if she was bound to disagree with him. She nodded. His face said he was telling her something very important. 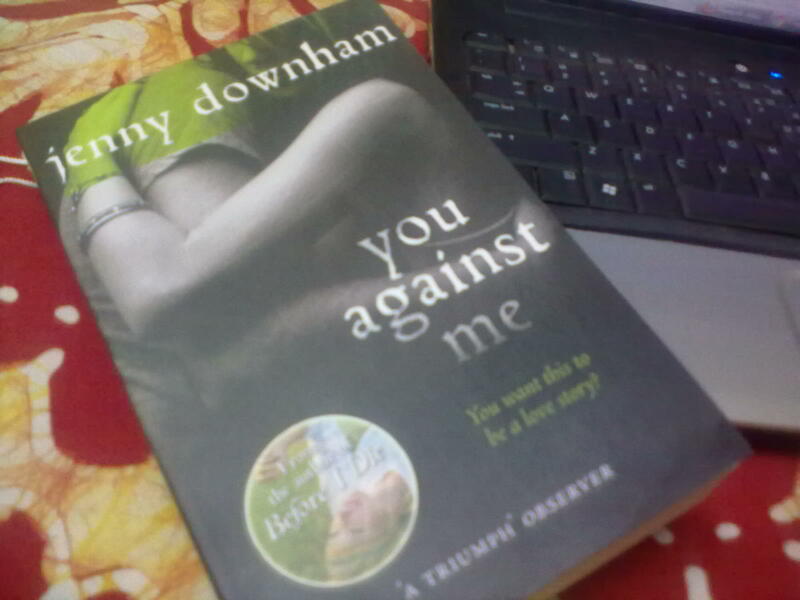 I chose this book from a looong list of teen fiction for adding it to under 18 genre for the challenge on ALOP. and after finishing, I think this is one of the top 5 books I read in year 2011. This is not the story of Tom the accused or Karyn the supposed victim; nor of Mikey , the elder brother and caretaker of his family of two sisters and a troubled mother , nor of little Ellie , the young sister whose words only can save Tom from going to jail. So what does Ellie says ? and does she really has it in her to stick to her statement ? Mikey meets Ellie by chance and thinking it as an opportunity to seek information about Tom, meets her again and again , each time failing to ask whatever he intended and instead falling for her beauty , her knowledge and all that he ever wanted in a perfect girl for himself. Ellie , even after realizing who Mikey , trusts him a lot more than she should. Questioning herself and her family is no easy task ut she is willing to do that for Mikey's sake even if she says she wants to help Karyn. I strongly felt sad for Tom and Ellie's mother. She who can not desert her daughter as she tries to free from the silent sadness creeping in her life , nor can go against her son. You feel for Mikey as he struggles to keep his house together and for his sisters who have long back learned their roles in the house - a house that can fall apart anytime even with no court case hanging in their life. This book has a simple plot but the way it unfolds, its sensitive , it feels accurate and it touches you the way it should. It is simple yet engaging ; emotional yet logical, fiction yet not. It talks of so many issues and ideas that we do not wish to explore or accept. It does not give a closing , ut details the journey well. Totally loved Jenny's way of writing in this one. All willing to try her other books too. We find gems where we hardly look at. Its so easy to dismiss such books while looking for something spectacular or in the new york's best selling list. #notetoself "read whatever you find. even if that means YA"
I'd have to agree. Not a fan of teen fiction at all, but who can say where good writing can be found?